Marie McAuliffe is the head of the Migration Policy Research Division in IOM, and the co-chief editor of the next World Migration Report (with Martin Ruhs). Marie is an international migration specialist with almost 20 years of experience in migration as a practitioner, program manager, senior official and researcher. Marie has published/edited in academic and policy spheres on migrant smuggling, asylum seekers, refugees, irregular migration and enhancing protection in Southeast Asia. She is an elected member of the Scientific Committee of the Swiss Network for International Studies in Geneva. She is a Senior Fellow at the Global Migration Centre at the Graduate Institute of International and Development Studies, and a visiting scholar at the Population Institute at Hacettepe University in Ankara. Marie is also a member of the Australian Department of Immigration and Border Protection’s Migration Research Advisory Group. Marie has led research, analysis and policy teams in government and has consulted to IOM, ILO as well as in the private sector, including in South Korea, Russia, Central Asia and Turkey. 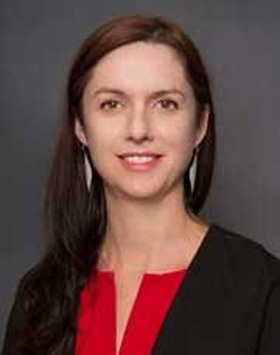 For three years (2012–2014) Marie directed the Australian irregular migration research program. In late 2014 she was awarded a Sir Roland Wilson scholarship to complete her doctoral research at the Australian National University’s School of Demography on the irregular maritime migration of Hazara asylum seekers to Australia.